Nepal Jesuit Social Institute in cooperation with ICIMOD, Nepal has successfully organized four days agriculture training program for Ramechhap and Sindhupalchowk district adult community. The training session was held from 16th August to 19th August 2017 in knowledge park ICIMOD Godavari. There is total of 21 trainees of which 19 were male and 2 were of the female participant. The motive of such training program was to enhance the farming technique. The trainer Samdan Lama Sherpa an officer of ICIMOD Knowledge Park, Godavari along with his supporting team member conduct various type of training for the participant such as 3D Farming Technique, Bio Internship Farming, Enclosed Composting, Mushroom Farming and much more. The Farmer training programs are intended to provide the knowledge of farms management, organic production, focusing on diversified production of crops, vegetables, livestock, flowers, fruits and herbs for local markets and international market get involved in organic farming training programs. NJSI has been conducting the various program related to the special children to maintain their sound health. Medical Intervention has helped them to do so. 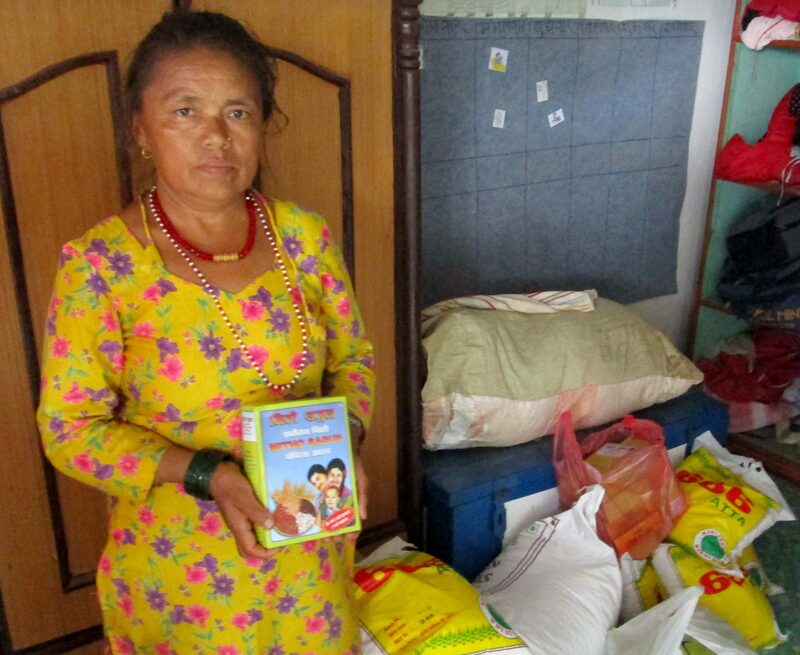 Also, NJSI distributes the nutritious food items to the special children in Bhagawati School Kharelthok, Kavre and Kali Devi School in Kunta, Kavre such to overcome the problem of malnutrition. NJSI is continuously conducting such activities in direct support from Caritas Italian and Xavier Network. Constructing shelters for Gyalthum Community. Due to the devastating earthquake of 2015, Gyalthum community people suffered the most, they lost their homes, their hope, and everything. To build their hope Nepal Jesuit Social Institute is constructing 73 shelter homes. 15 beneficiaries have completed their houses and some of them have started to live. Three French and seventeen Lebanese scout volunteers along with two Jesuit Scholastic Sch. Josheph and Sch. Anto from Lebanon is assisting the village by helping for the site clearance, to dig the foundation and are also assisting to agriculture work for the community. As for now, the rainy season has started so the construction works are in a halt for the time being. Gyalthum community welcome the group with open heart along with the cultural program. French group will remain for three weeks in the village where as Lebanese group will stay for 6 days to work with NJSI for the village. Free Medical checkup for Jaretar people was organized by Nepal Jesuit Social Institute NJSI in collaboration with Nava Jyoti Center on August 1, 2017, at Jaretar, Panchkhal 12. The total of 11 team member including 4 doctors and remaining health assistant were present there to conduct the program successfully. The program was conducted in the women center hall at Jaretar at around 10:00 AM which was recently handed over by the NJSI. 222 people came for the general checkup. Medicines were distributed freely as prescribed by the doctors. The Local people were very happy and grateful as well for conducting the health camp and requested for further events as well. 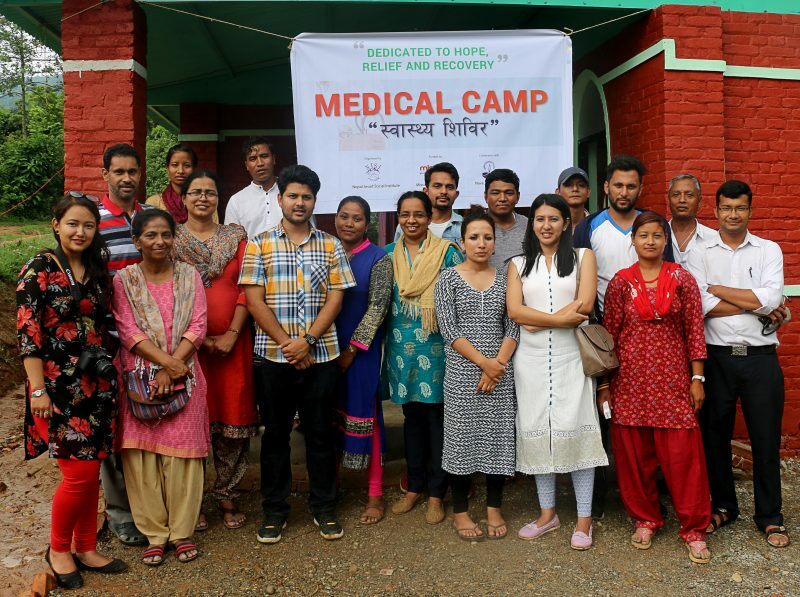 This medical checkup camp was funded by Missio Achen, Germany. In the camp it is found that larger number of people were from Danuwars community, similarly Lama, Tamang and Shrestha were also there for medical attention.